Economic Council Helping Others Inc.
7:00 a.m. - 12:00 p.m. & 12:30 p.m. - 5:30 p.m. 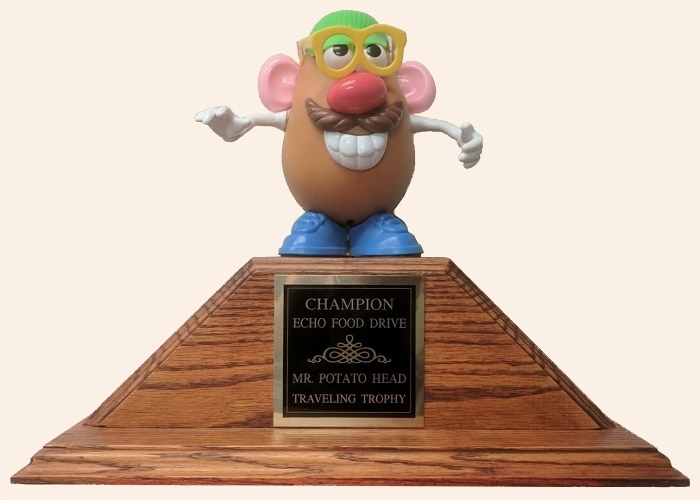 Annually there is a competition between the Aztec, Bloomfield, Farmington, and San Juan County for the collection and donation of food for the annual food drive held near the end of year for the Thanksgiving and Christmas holidays. This competition has been going on since 2010. The annual winner gets to keep Mr. Potato Head for the year!